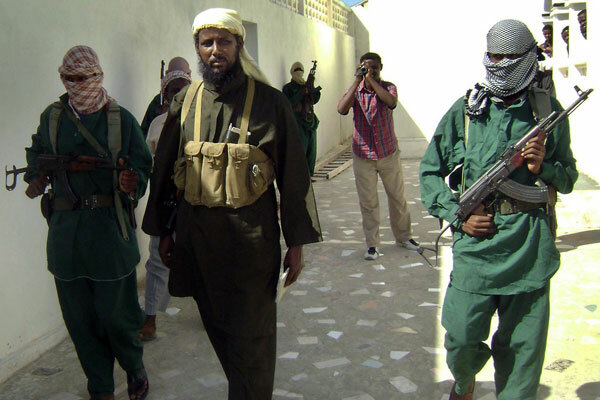 Mogadishu, 11th March, 2014 – Terror Media Network of Al Shabaab Group, has broadcaster the death of the Al shabaab spokesman Ali Mohamud Raage (Known Ali Dhere), It officially announced that the militant officer was dead and said was martyred. Ali Dheere, in his last Al Jazeera exclusive interview with Hamza Mohamed, Al-Shabab’s spokesman says armed group will retake territory lost to the Somali federal government forces. His death is worst and most lethal blow to the Al-Shabaab operations in Southern Somalia and kenya. Ali Dheere was not only Al-Shabaab spokesperson, but a key player in the command chain of the militants in Mogadishu (Dayniile District), according to Geeska Afrca Online Reporter in Mogadishu. Ethiopian Government with AMISOM troops ‘launches military attack inside Somalia’. Ethiopian soldiers are also currently active in Puntland, Galmudug and Part of Somaliland. What a wonderful day !!!! Ali there will enjoy the 72 virgins in paradise…… Al Shabaab is on the end. No money, no force no leader! Where is Godane?? The people of Somalia will be free,the children go to school, the economy grow up people must believe on the government in Mogadischu.. Bravo, more of this !!!!! !